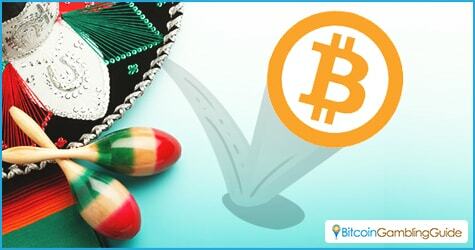 The hovering issues of Bitcoin restrictions in Mexico leave the cryptocurrency in a gray area. A number of statements emerged last year from central authorities warning local institutions of the dangers involving cryptocurrency transactions. Likewise, the recent statements of the Mexican Tax Administration Services say that they have made a decision to ban virtual currency transactions in the country. One of the reasons behind the strict rules on Bitcoin use is the prevalence of money laundering in the country. Mexico, being a cartel-swarmed-country is a magnet for the anonymous and untraceable transactions Bitcoin offers. Understanding the side of these regulating bodies, the restrictions should be looked at more of a safety precaution than anything else. Not long ago, the local government imposed cash bans on immense amounts of transactions to guarantee that a paper trail can be followed, making it easier to trace the source. However, these bans are limited only to an extent. It does not embrace all virtual currency-related transactions. The application of these bans only concerns transactions amounting to over $38,750 worth of real estate, art, and jewelry. Car transactions exceeding $15,500 and foreign exchange transactions over $1,500 in the span of a month will also be prohibited. Furthermore, the prohibition will include payment and receiving of the currency for virtual goods. Otherwise, no other restrictions apply to transactions involving other forms of products or services. Mexico is a country that embraces the gambling culture—land-based and online—especially the thrills of sports betting. This could have been a vast opportunity for Bitcoin sports betting to be recognized in the country. Recent years have witnessed the growth of land-based casinos in the country, but these are designed to cater to the tourists rather than the locals. Hence, playing in cryptocurrency-powered casinos like Birwo provides a solution for locals to enjoy betting on the popular casino games. The laws surrounding gambling show less tension than that of Bitcoin, which is why this issue may be a chance that slipped off the hands of the technology. Prospects of having cryptocurrency integrated into its gaming systems would do a great deal for both bettors in the country and the emergence of Bitcoin for mainstream purposes. Moreover, the virtual currency shows huge potential in other aspects besides online gaming. After all, the country is starting to show development in the field of virtual payments. Local exchanges are starting to grow in number, and the Mexican citizens are starting to adopt the currency. Could this have been the big break South Americans are waiting for, or will this discourage locals from its use? After all, Bitcoin gambling in Latin America is predicted to hit new records in the next years. Looking at the matter from another point of view, what could be faced here is a double-edged sword that might put Bitcoin in favor. This can be one of those instances that resemble the banning of Bitcoin in Russia, where regulations were imposed only to investigate how to deal with the technology in a more civilized manner. In the instance that this remains true in the situation of Mexico, the employment of Bitcoin can recover after this minor mishap. 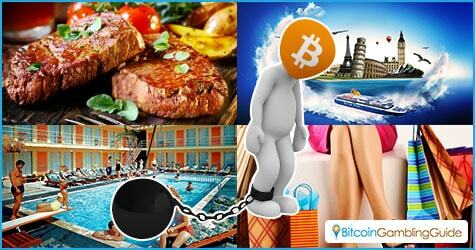 The possibilities of Bitcoin casinos seeing light in the country is still present, especially when key names in the gambling industry are gradually adding Bitcoin to their supported payment methods.